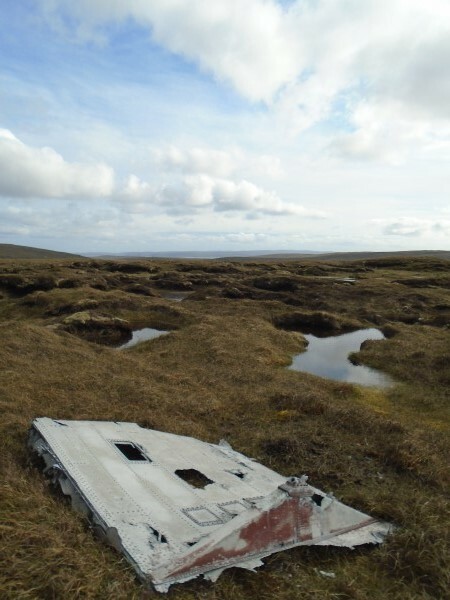 The crew of the aircraft had flown from their normal home station of RAF Castle Archdale on Lough Erne to RAF Invergordon on the Cromarty Firth north of Inverness before refuelling and taking off again to carry out a patrol off the coast of Norway with the aim of locating the battleship Tirpitz. 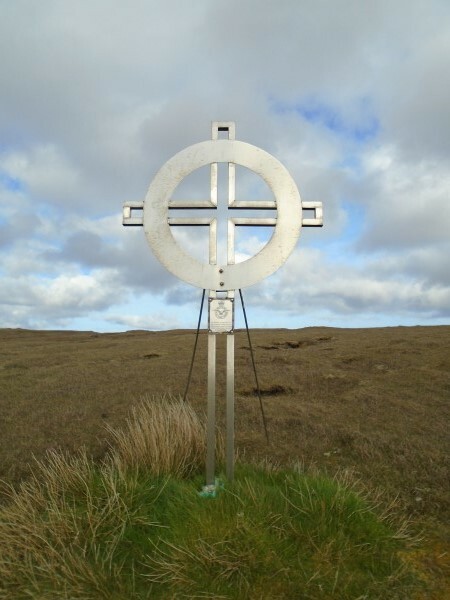 Overlooking the crash site of Z2148 is a stainless steel cross which was erected by the residents of the island in memory of those who died. While heading for Norway one of the engines began to develop a fault which meant to crew were forced to return to the UK. They were unable to return as far as Invergordon so diverted to Sullom Voe in Shetland. Arriving there in darkness they were asked to hold while the flare path was positioned and lit on the water for them to land. This would normally have been left on the water but owing to there being no Sullom Voe aircraft airborne and very poor weather conditions the officer in charge of its deployment had decided to bring it to the pier to prevent wave damage. 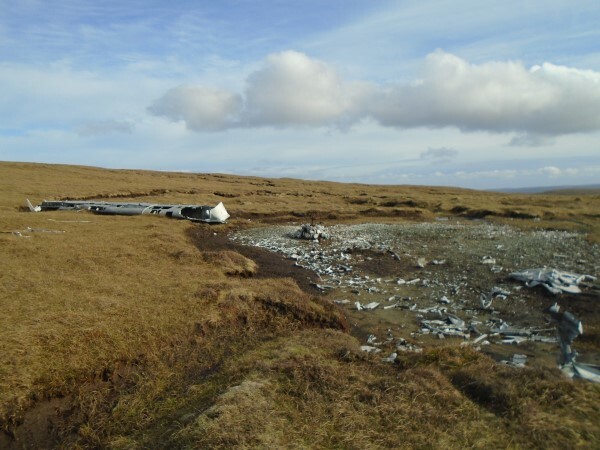 The pilots made three circuits around Sullom Voe before heading East, apparently to gain height to clear high ground on the islands, it was while heading out to the East or North-east that the aircraft struck the ground at just over 250ft above sea level on the island of Yell and broke up with the wreckage soon catching fire. 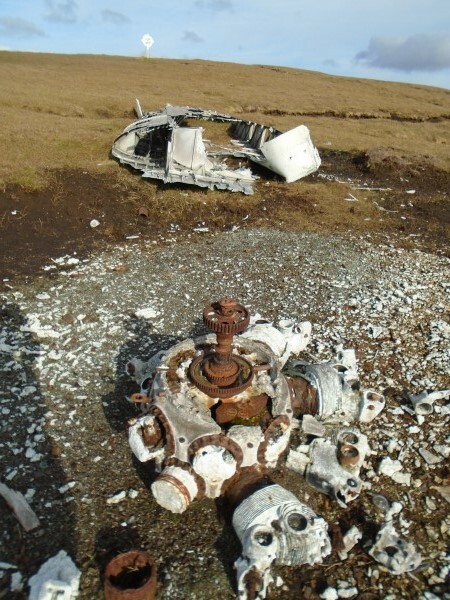 The remains of one of the aircraft’s engines and a burnt out wing at the crash site, looking towards the memorial which was picked out by the evening sun. 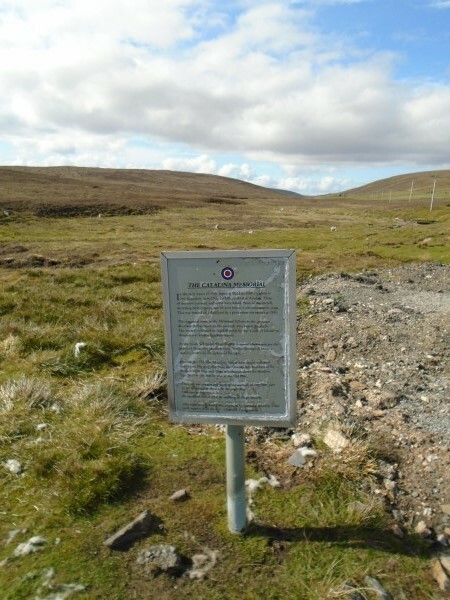 Three of the four depth charges which the aircraft was carrying had been jettisoned over the sea before reaching Shetland, however one had hung up. 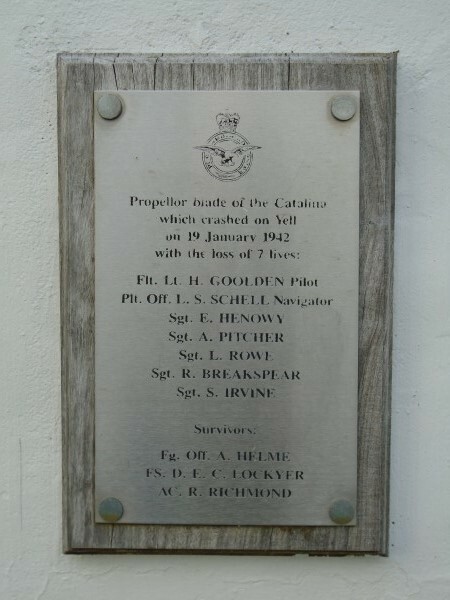 Despite being aware of this Flight Sergeant Lockyer, who had suffered an injury to an ankle, after extricating himself from the crashed aircraft returned to the burning wreckage in which small arms ammunition was already cooking off and was successful in pulling the co-pilot Flying Officer Helme out. He moved him to a place of safety and attempted to get back into the wreckage but was unable to do so because of the fire. He then set off across the moorland to get help. For his actions he was awarded the British Empire Medal. The large burnt scar at the crash site. Scattered for a distance across the island are pieces of wreckage which the prevailing wind has blown away from the main site. 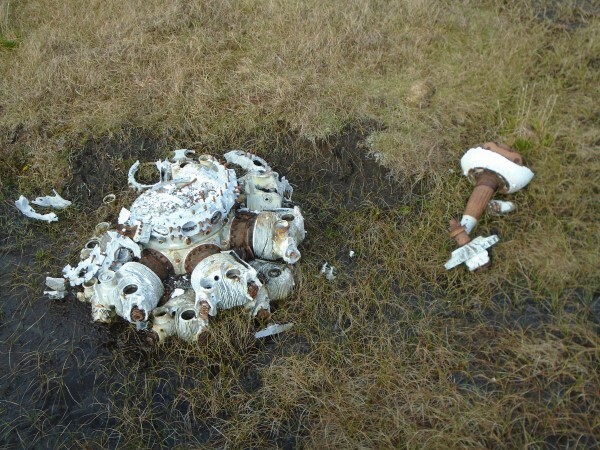 A short way down the moorland from the main site is the second engine from the aircraft. At the roadside where the path towards Willa-mina Hoga begins there is a wooden sign, saying “Catalina Memorial” pointing up the track. 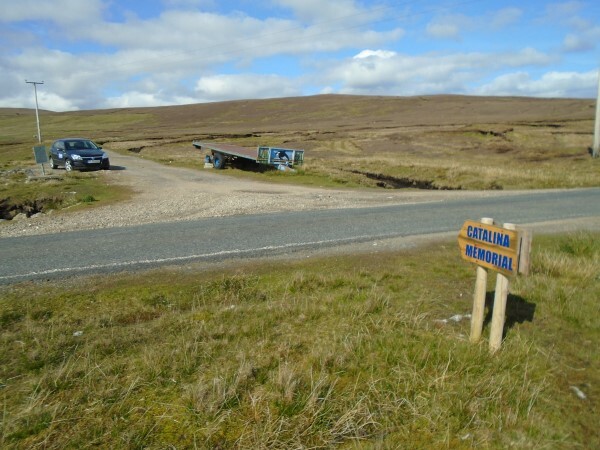 The route is periodically way-marked with fence posts which have had their tops painted white. A small information board has also been placed at the roadside. Following the crash all of those who had been killed were recovered from the crash site and were buried on the island where they died in a collective grave at Hamnavoe. 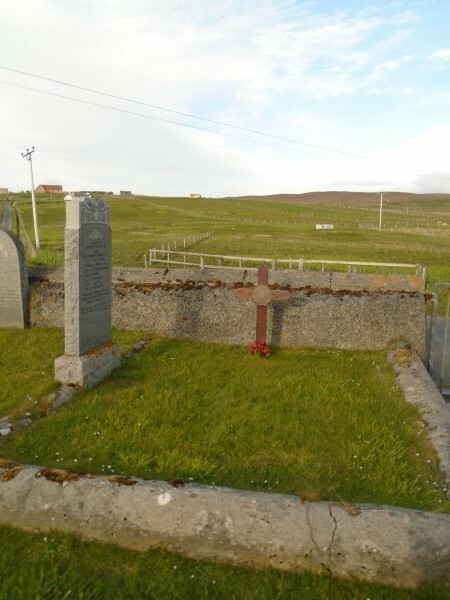 This is the small plot around the collective grave, which is adjacent to the entrance to the churchyard. 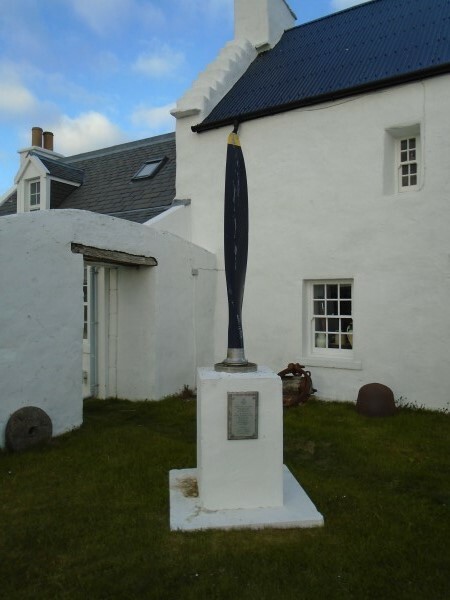 At the island’s museum in Burravoe a short way to the east of Hamnavoe is a second memorial to the crew in the form of one of the propeller blades from the aircraft. 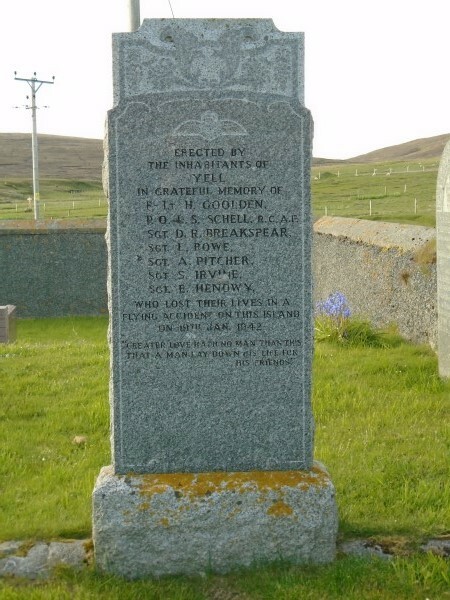 This is the plaque which is attached to the memorial at Burravoe.